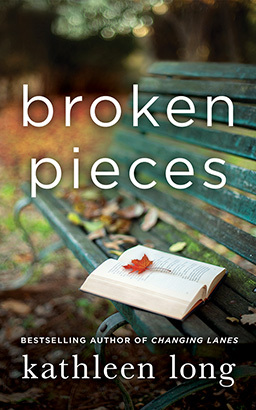 Broken Pieces by Kathleen Long has just been released this week, and I can tell you that it is such an emotional book! The main character is Destiny Jones, a 30-yr-old woman, who is a successful carpenter, and who has mastered the art of being an independent person. After the death of her mother when Destiny was just 10 yrs old, her father left her in the care of her grandmother so he could pursue an acting career on Broadway, only visiting once a year at Christmastime. Destiny learnt to be content with her own company and not let anyone get too close to her. However, when her father shows up on her doorstep with his life's belongings, he gives her the surprising news that he wants to be a part of her life, as well as dropping a huge bombshell which leaves Destiny shocked, and turns her entire way of living upside down. I don't want to divulge the secret so as not to spoil it for others, but the way Destiny takes on this news is so heart-warming, and I really felt for her.. This book is very sad in parts, but the message of hope shines through in abundance. The author's dedication and acknowledgements are so touching too, as they have a personal message within them. This book raises awareness of important issues too, and for that alone, it is worth recommending. But just be warned that you may need to have the tissues handy for this one! * I was given an ARC in exchange for an honest review through netgalley. Good luck if you decide to enter, and have a lovely weekend!